Those cold nights at the game won't keep your little Michigan fan from cheering on the team in Michigan Wolverines Long Sleeve Hoodie! 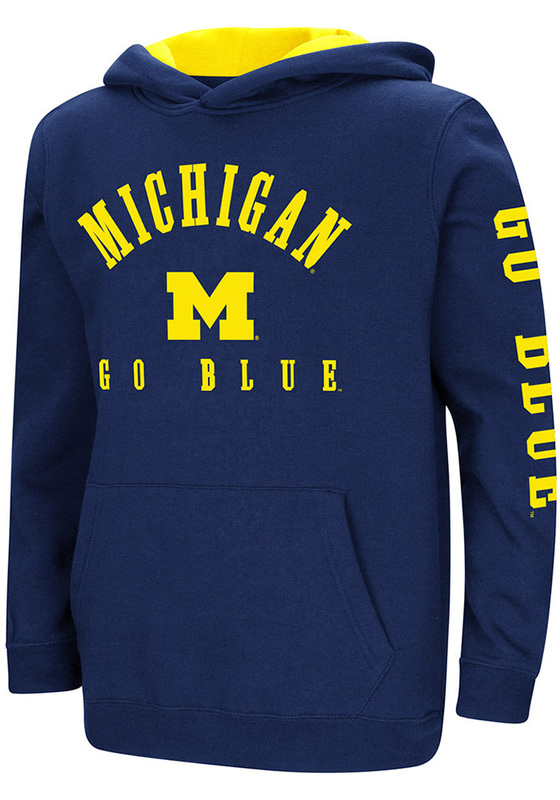 Give them this Michigan Wolverines Youth Navy Blue Berminator Hooded Sweatshirt to keep warm in the stands. 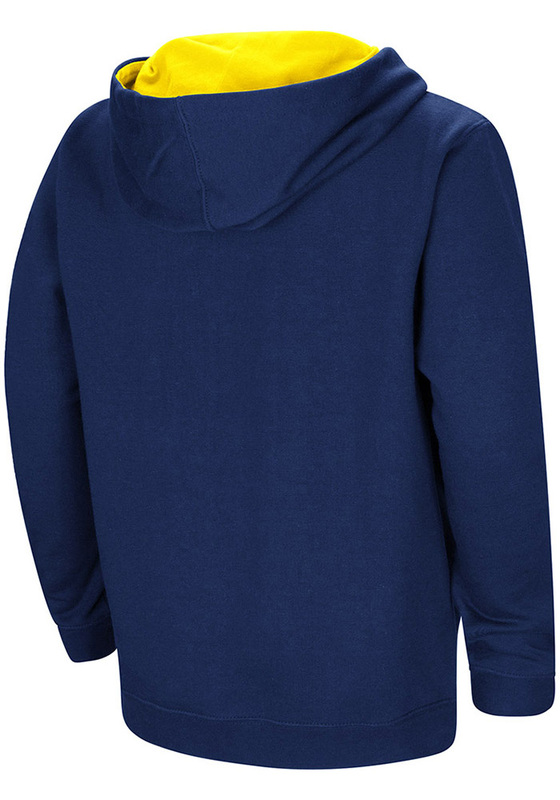 This Wolverines Long Sleeve Hoodie features a screen print graphic and contrast color hood lining.